Ohio needs to attract skilled, young workers to the state to help build and grow the industries of the 21st century. The Millennial generation wants to be connected, to have choices and flexibility, and to have lower transportation costs. Ohio can meet these desires by expanding access to public transportation. To better understand the views of Ohio college students regarding driving and public transportation, the Ohio PIRG Education Fund surveyed 500 students at 10 of the state’s universities, including public and private schools spread geographically across the state. Most of our surveys – 94 percent – were collected at Ohio State University, Kent State University and Oberlin College. While the survey did not employ a scientifically selected sample, the results are consistent with those of other surveys, which have found that the Millennial generation is seeking a different trans¬portation future, one that allows them to drive less and take transit, bike and walk more, and that today’s young people view the availability of transportation choices as an important factor when selecting a place to live and work. Figure ES-1: How Important Is It for Students to Live in a Place with Other Transportation Options Besides Driving after Graduation? Public transportation, biking and walking are critical transportation tools for students while they are in school. 45 percent of students with jobs use public transportation “very often” or “sometimes” to get to work. More student respondents reported walking, biking or taking public transportation to class than reported driving to class. Students are concerned about the cost of driving. They are also looking for opportunities to stay connected while in travel. 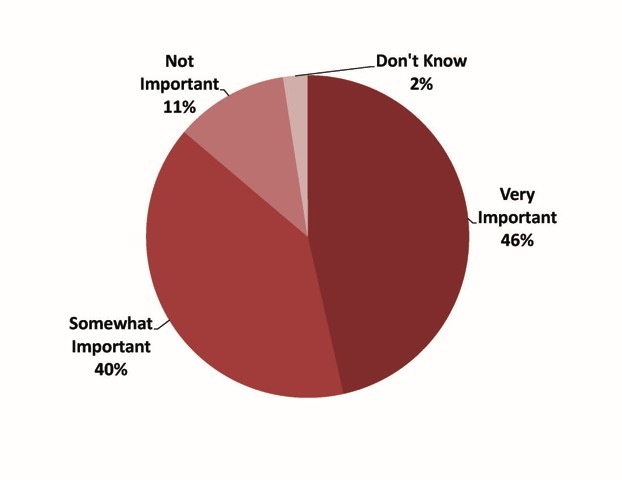 It is “somewhat important” or “very important” for 90 percent of student respondents to avoid or reduce costs associated with having a car, such as maintenance, repair, gas, insurance and parking. Most students surveyed – 66 percent – responded that it is important for them to engage in other activities while traveling, which is a key benefit afforded by public transportation use. 52 percent of student respondents said they would be “very likely” to take public transportation if it were more convenient. Overall, 84 percent of student respondents said they would be “somewhat likely” or “very likely” to use transit if it were more convenient. Faster and more frequent public transportation options would help meet students’ needs. When asked why they do not use public transportation to get to class, student respondents most commonly indicated that it takes too long. Students are aware of the environmental damage caused by driving and are looking for ways to reduce their impact. 88 percent of students surveyed said that the environmental impacts of driving would influence their decision to take public transportation if it were more convenient. 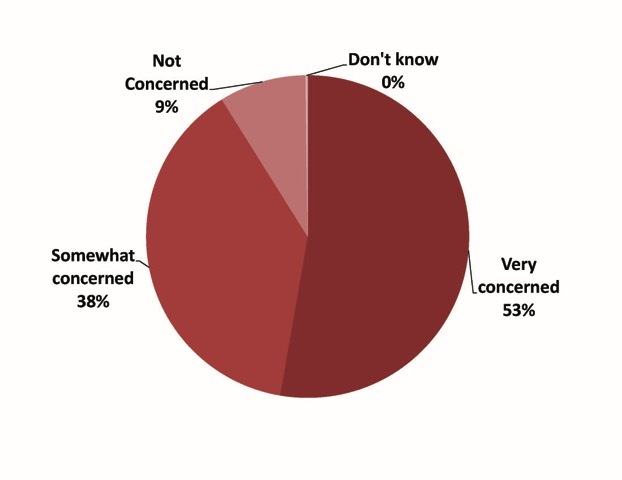 Figure ES-2: How Concerned Are Students about the Environmental Impacts of Driving? The results of this survey show that students in Ohio want to live in places with a diverse range of transportation options. Students are concerned that driving causes environmental damage, most do not to drive to school, and even more would use public transportation if it were more convenient. While many students own cars, respondents answered that it is important for them to live in a place where they do not need to drive. Ohio is competing with other states to at¬tract young talent and retain the educated workforce that is needed for future economic prosperity. By responding to the demands of young people through policy changes that emphasize expanding transportation choices, Ohio may be able to retain more of these skilled workers. Increasing funding for public transportation. Ohio current ranks in the bottom half of the nation in terms of transit funding per capita. The Ohio Department of Transportation (ODOT) estimates the state should double its spending on public transit by 2025 to meet future demand. Stopping wasteful highway expansion projects. Unnecessary highway projects like Cleveland’s Opportunity Corridor divert vast amounts of resources from other transportation needs and undermine efforts to create walkable communities. The state should put a hold on the Ohio Jobs & Transportation Plan projects until the necessity of each project has been evaluated based on updated assessments of travel demand and community needs. Use transportation data to offer better services. Providing real-time transit updates and planning tools online can encourage the development of apps that provide potential transit users with updates on schedules, delays and transit connections. This can be done using available technology, such as crowdsourced rider information and real-time traffic data. Ohio colleges and universities should partner with surrounding communities to expand access to public transit. Many colleges and universities are already meeting the needs of their student bodies by creating diverse transportation options; expanding these to include neighboring cities and towns will make Ohio a more attractive destination for a recently graduated workforce.